NITE are Canadian-born twin brothers, Kyle and Myles Mendes, based in Dallas, TX. 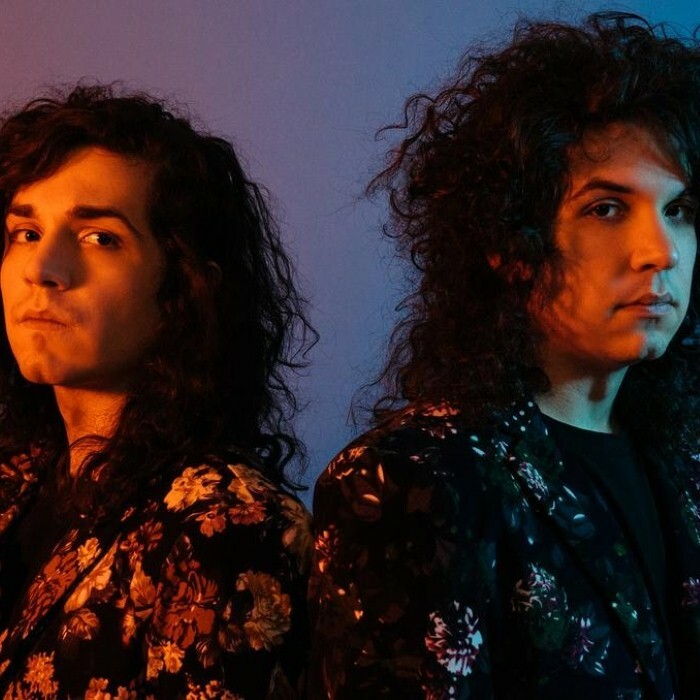 The duo create a unique hybrid of electronic-tinged rock with a nod to 80’s-influenced dream-pop. Kyle and Myles’ powerful dueling vocals might remind oneself of Tears for Fears' Roland Orzabal and Curt Smith, with a delivery of tasteful guitar hooks amidst bright synthesizers and throbbing drum machines. NITE have completed two full tours within North America in 2016 with Seabound (Germany) and The Foreign Resort (Denmark) They have been humbled to share the stage on a number of occasions with artists such as Midge Ure of Ultravox, Howard Jones, Clean Bandit, The Griswolds, A Flock of Seagulls, Small Black, The Alarm, and many more. On July 28, 2017, NITE released a brand new album, Reborn, on Cleopatra Records, which features the song "Dreamer", as a follow-up to their 2014 self-release, I Am Not Afraid.